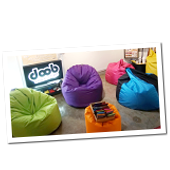 doob® : Singapore's Leading Online Bean Bag Store, Free Delivery! 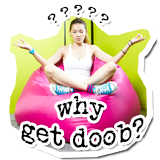 doob® is the one bean bag that provides cool people with fun comfort at an affordable price because we make 'em the way you would want 'em. A doob® bean bag can be positioned in several ways and is the perfect companion for you to read, game or simply mess around in. 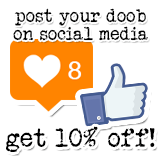 Get doob® now. © Becheras Holdings Pte. Ltd.
other awesome brands, as well as the people behind mrphy.sg and SoftRock Living.